When you need help with a premises liability, maritime injury, Social Security disability case, or other case type, the team at the Wetzel Law Firm can help you choose the right course of action. While most accidents can be avoided if a property owner takes adequate precautions and practices frequent maintenance, that’s not always the case. When premises owners fail to meet reasonable standards of care, they can be held responsible for injuries occurring on the property. In simple terms, premises liability is the property owner’s legal responsibility for injuries and accidents occurring on the premises. Business owners, homeowners, and other property holders are, to some extent, responsible for the safety of guests, customers, and other visitors. If a hazard exists because of poor maintenance or the failure to resolve a known issue within the right amount of time, the property owner may be financially liable for subsequent injuries. A Gulfport premises liability attorney with the Wetzel Law Firm can work with insurers and at-fault parties to gain a fair settlement, or they may enter commercial litigation to help a client win the maximum level of damages available under Mississippi’s laws. The firm’s personal injury lawyers are skilled in negotiation and litigation, and they work tirelessly to get clients the compensation they need and deserve. All states have statutes of limitations that apply to personal injury claims, and Mississippi is no exception. This means that a victim must file his or her claim within a certain time, except in limited circumstances. For instance, if a person was injured on poorly maintained property but didn’t understand the extent of their injuries until later, a skilled injury lawyer may argue that the onset date should be the day the problem was discovered. In Mississippi, the statute of limitations on personal injury and premises liability claims is three years. It’s easy for a person to become overwhelmed after a maritime accident. Medical costs and other bills can be problematic for those who are used to working as longshoremen or seamen. For such reasons, it is important to choose the right injury law firm. At the Wetzel Law Firm, clients are represented by knowledgeable, professional lawyers who are uniquely capable of fighting for compensation for maritime injuries. 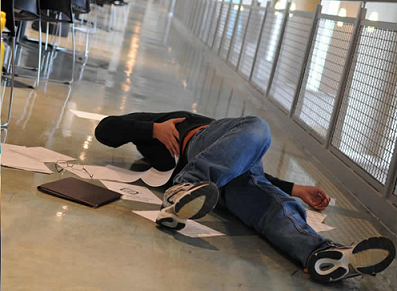 If someone is hurt on the job, they may be able to receive various types of compensation. A victim may get indemnity damage claims if they can’t return to work for at least seven days, which means they’ll be reimbursed for the earnings they lose. However, the weekly benefit will not exceed the total compensation amount for the year in which the accident or health problem occurred. Speak to a worker’s compensation lawyer in Gulfport to learn how the state’s laws may apply to your specific case. Any worker who has paid into the Social Security system and suffers a mental or physical impairment that keeps them from working for one year or longer may be able to receive SSD or Social Security Disability payments. It doesn’t matter whether the injury occurred off or on the job, in a car accident, because of illness, or because of an acute condition; if it keeps any individual from holding gainful employment, SSD payments can help them support their family. The Social Security disability lawyers at the Wetzel Law Firm can guide clients through every step in the process, from the first application to the final appeal, and they’ll explore all avenues to get clients the benefits they need. If you are fighting for your right to receive compensation after an injury on premises of a business or public area, you have the legal right to request financial compensation. When a person legally enters another person’s or entity’s property, they do so under a reasonable expectation of safety. To further understand these areas of law and get an honest and thorough assessment on the validity of your claim, call the Gulfport and Biloxi personal injury attorneys for a no-obligation consultation. The firm’s lawyers and support staff know Mississippi’s premises liability, worker’s compensation, maritime injury, and commercial laws. For more information on Mississippi injury law, call Wetzel Law Firm and schedule a meeting today.